Having a connected mobile experience is no longer optional for brands. 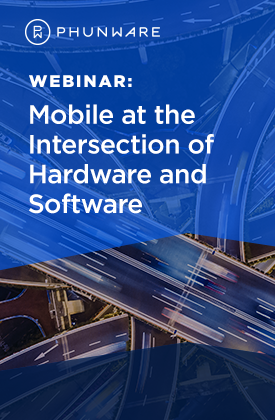 With consumers demanding more from mobile, it's critical to pair hardware and software to make sure you don't just connect, but also meaningfully engage with users where and when it matters most. Ready to learn how to deliver an amazing connected mobile experience? Of course you are! Watch the webinar now.